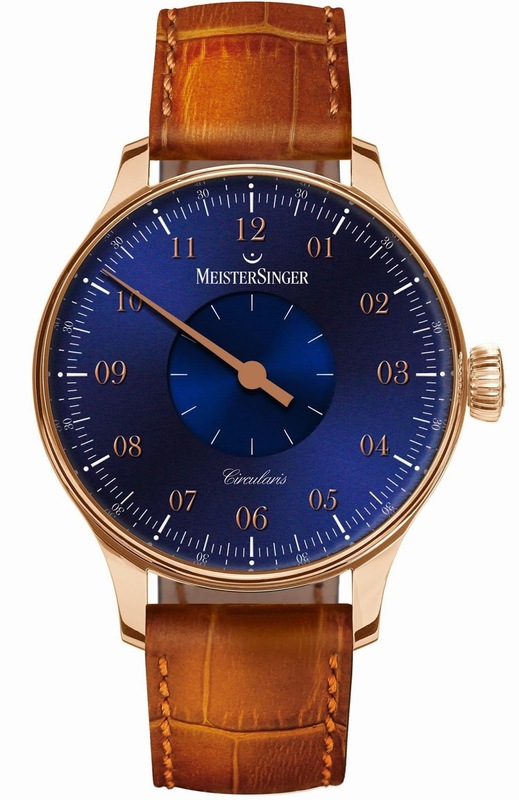 This year, MeisterSinger presents a limited edition of its new top model Circularis in solid gold. 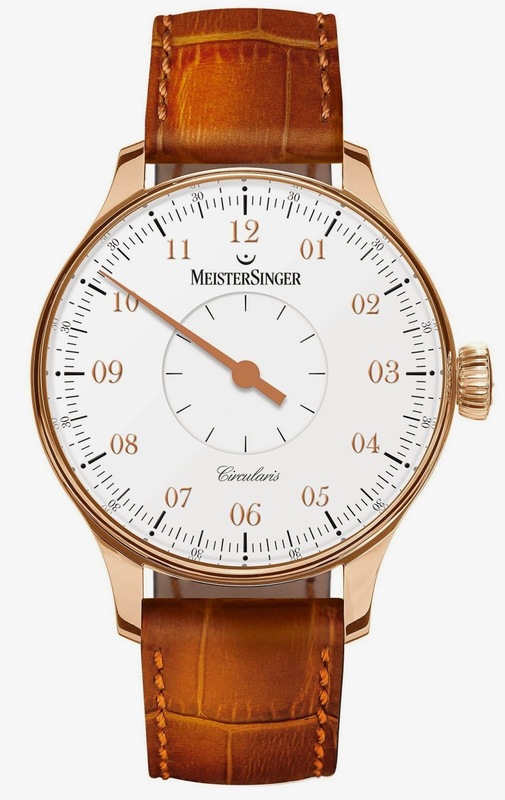 Since 2001, MeisterSinger has been manufacturing single-hand watches. Company founder Manfred Brassler launched the Circularis in 2014 with the aim of implementing both his aesthetic ideals and his technical standards in one exquisite masterpiece. The Circularis is the visible evidence of his success in every detail. With its fine serif type and a recess in the center of the dial that produces a fascinating, constantly changing interplay of light and shadow, the Circularis is a particularly elegant piece of craftsmanship. And by designing a unique bridge, Manfred Brassler also created a balanced appearance for his new, elaborately finished manually wound movement, which was developed in Switzerland especially for MeisterSinger. The decision to make a completely independent watch such as the Circularis was hailed by the trade press and aroused a far greater degree of interest among customers than initially expected. Proud of its success, MeisterSinger is now marking its major step forward by bringing out a limited edition. Forty-eight Circularis – twenty-four with blue dials and twenty four in white – will be handcrafted in a case of solid yellow gold, in the same tone as the characteristic hour hand and the fine serif type of the hour digits. The Circularis models in gold are expected to be available from October 2015 onwards.